We humans are not necessarily the smartest of God’s creations even though we think we are! We seem to go out of our way to hurt ourselves in so many different creative ways. At one time or another most of us end up in a dark alley of our own making through our own bad choices and actions. And sometimes other people put us in those alleys or at least lead the way. It always seems so dark and so lonely there, but God never abandons us—it only feels that way sometimes. And that’s what I want readers to take away after reading DARK ALLEYS. No matter what we’ve done, God never stops loving us. He is always there waiting for us to ask for His help. In James 4: 8 it says, Draw close to God, and God will draw close to you.” To me that means, God is always there waiting for us. One of my favorite verses is Jeremiah 29: 14, I will be found by you, declares the Lord, and will bring you back from captivity. Another way of saying draw close to God and God will draw close to you. Of course, His help may not come in the form we want or expect, but then again His ways are higher than our ways. The important thing to remember is that God loves us and he won’t abandon us. 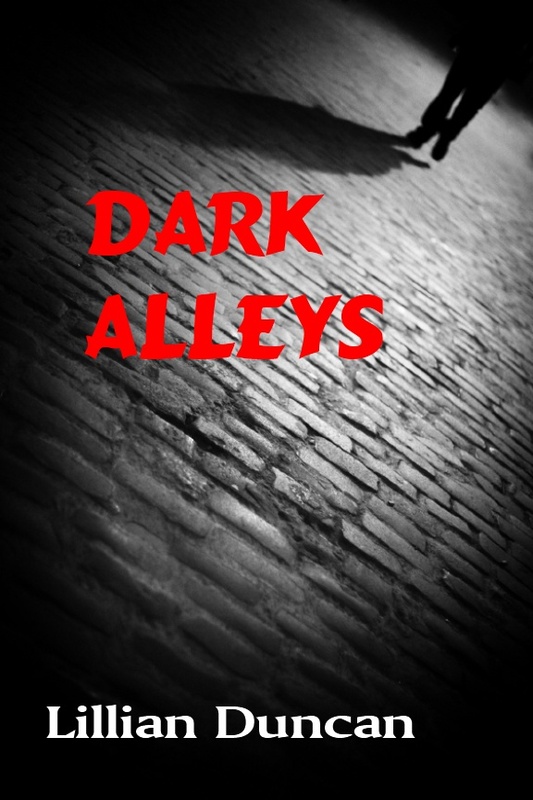 DARK ALLEYS is a story about a woman who ends up homeless and alone in a dark alley on a cold winter night. She witnesses a murder while in a drunken stupor and almost becomes his second victim. She awakens in the hospital with no clear memory of how she was injured. She attempts to put her life back together but, of course, the murderer has other plans. I wanted to write a story where the main character was the queen of underdogs and I think I succeeded. Tessa is a mess, just like the rest of us. She could give up and no one could blame her, but she doesn’t. She keeps going—putting one step in front of the other. And some days that’s all any of us can do. Those are the days we need to keep our eyes focused on Jesus. And one step at a time He will lead out of that dark alley and into His light.